All over the globe spring is blooming, and not far behind are the cherry blossom trees. These pillowy, pink and white blossoms can be seen from the U.S.. to Canada to their roots in Japan. 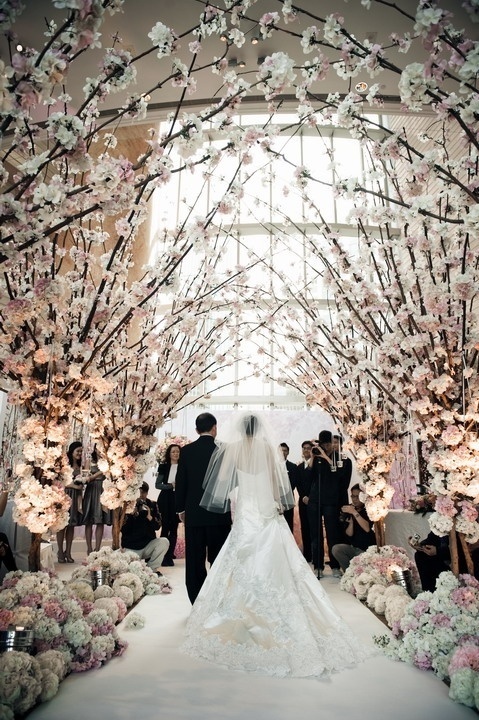 And with its rich symbolism and impeccable beauty, it’s no wonder couples choose cherry blossom themes for their big day. 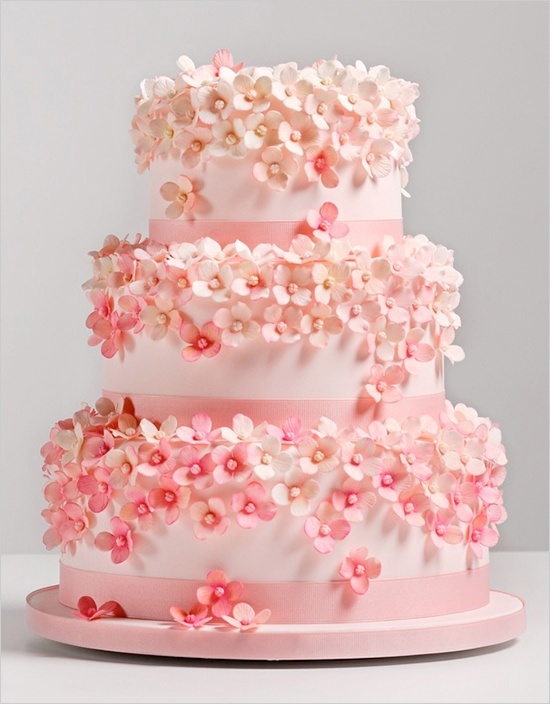 From cakes to centerpieces to the tree itself, there are so many ways to incorporate the cherry blossom into your wedding..
Cherry blossom trees, also known as sakura, typically bloom in late March and early April. Many in Japan celebrate by holding flower viewing parties and picnicking under the trees. This custom, also knows as Hanami in Japan, dates back to as early as 710 CE when festivals were held specifically for the coming of the sakura. 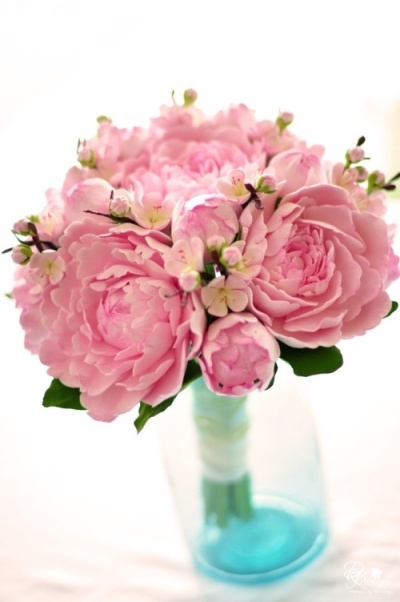 Now people all over the world enjoy the flowering soft pink petals. In 1959 Japan gifted Toronto with Somei-Yoshino cherry blossom trees, a species known for its fluffy white flowers, and now cherry trees can be seen all over Canada. Vancouver even holds a cherry blossom festival in April, which celebrates Canada’s cherry tree heritage and the beauty of the cherry blossom. The symbology of the cherry blossom is as wide as the territory it covers. In historic Japan, the cherry blossom represented morality, since the blossom itself has a short life span. Now it has come to symbolize innocence, simplicity, and the beginning of spring. In some cultures it represents feminine beauty, love, passion, and hope for greater things to come. Look to nature for color combination inspiration. The cherry blossom itself typically blooms in a range of pinks, with some nearly all white with the faintest pink blush on the petals. Brown from the branches and green from the leaves make good color partners. 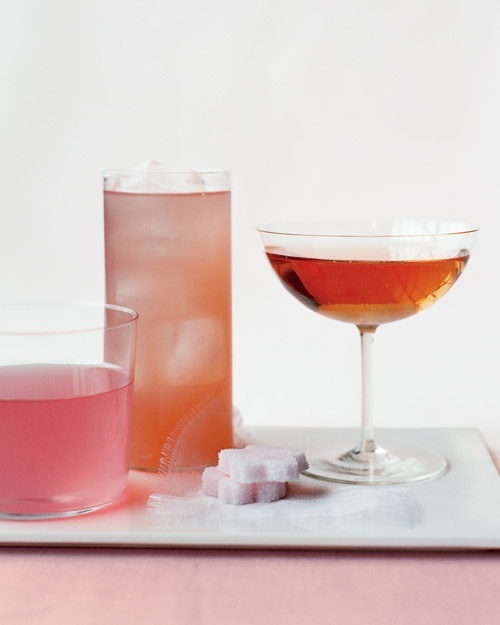 If brown isn’t your thing, consider a pink and white color scheme or a pink, white, and green palette. 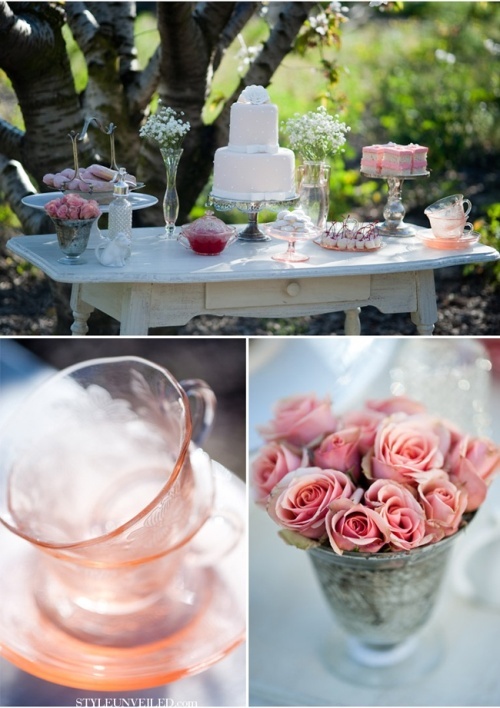 Everything from a simple white A-line to a blush princess ball gown works for a cherry blossom-themed wedding. 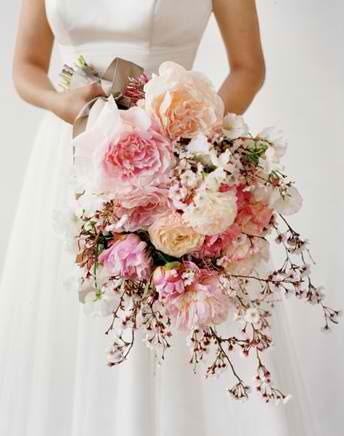 The theme can be seen in the accent colors, jewelry, and bouquet. 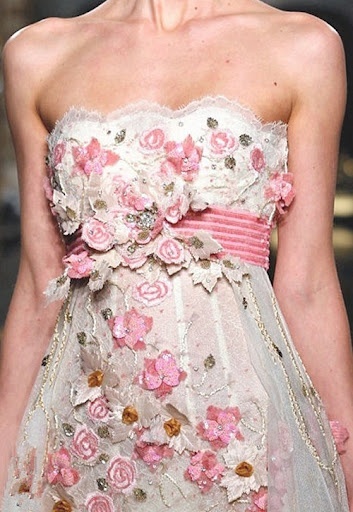 If you’re looking for something a little bolder, consider a kimono-inspired gown with a cherry blossom sash or a dress with flower details. 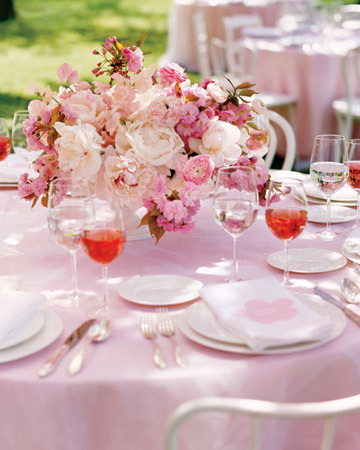 Pretty combinations include pink peonies and cherry blossoms and peonies, ranunculus, sweet peas, jasmine and cherry blossoms. 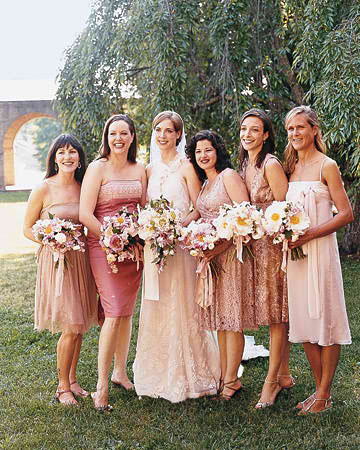 Incorporate the cherry blossom theme into bridesmaid wear by having them wear knee-length dresses in a shade of pink with cherry blossom crowns or flowers weaved into their hair. 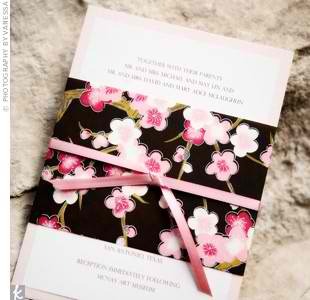 Consider having the groomsmen wear a pink or brown tie and tuck a sprig of cherry blossom into their lapels. 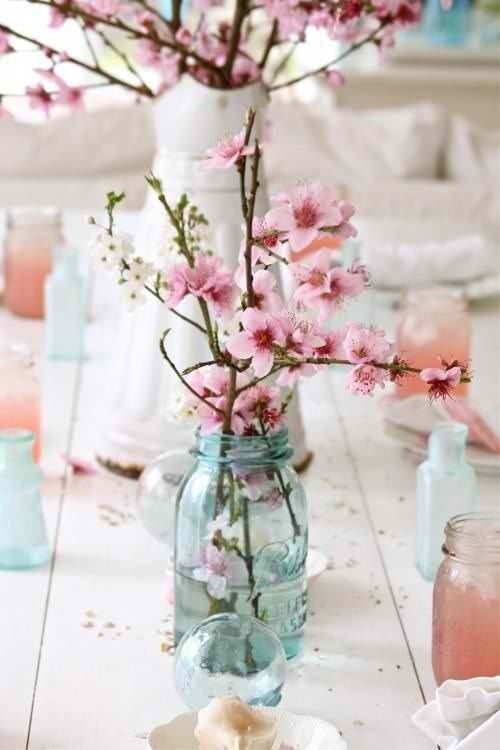 Things to consider: twinkling lights in the trees, cherry blossom branches as centerpieces, pink and white balloons or paper lanterns, soft pink or white tablecloths, cherry blossoms and pink tulips floating in glass containers, tealight candles, white napkins in pink napkin rings with sprigs of cherry blossom slipped under the ring, branches in tall vases, chocolate brown tablecloths with white or pink centerpieces. Keep your colors in mind when designing your cake. It could be all white with branches and blossoms wrapping around or sprinkled with tiny blossoms. 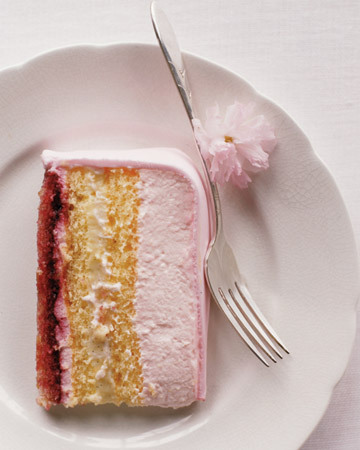 Or there’s the option of including the pink inside the cake, ombre style. 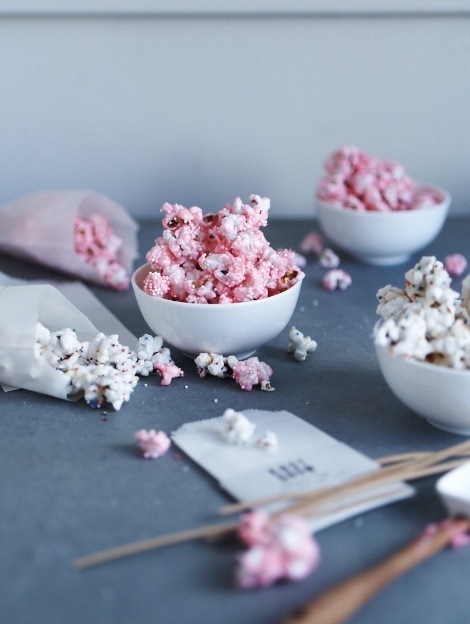 For sweets: pink and white popcorn, macarons and little petit fours in your color palette.Beverages can include a signature pink cocktail, pink lemonade and bubbly.